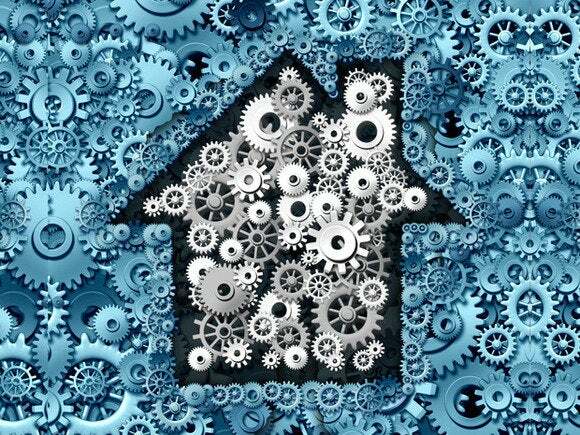 Smartphones, mesh networks and cloud computing are enabling the long-awaited smart home. Standards and open-source software could make them ubiquitous. The Jetsons TV series captured the popular imagination in the 1960s with its portrayal of the future. The Jetsons’ home featured videophones, a robot housekeeper and a kitchen filled with push-button conveniences. After decades of slow progress, our homes are poised to become much more automated. We are even ahead of The Jetsons in a few areas. Most homes in the U.S. already possess powerful building blocks: digital TVs, computers with Internet access, microprocessor-controlled appliances. A growing percentage of households have taken their first steps toward the future with Internet TV, wireless security systems and a growing roster of voice- and smartphone- controlled devices. Two things are needed to make homes truly “smart.” First are sensors, actuators and appliances that obey commands and provide status information. There are already hundreds if not thousands of smart home products on the market. These have evolved in recent years beyond simple door sensors and light switches to smart thermostats such as Nest and voice command devices such as the Amazon Echo. Second are protocols and tools that enable all of these devices, regardless of vendor, to communicate with each other. However, this is a major undertaking and it won’t happen overnight. In the meantime, smartphone apps, communication hubs and cloud-based services are enabling practical solutions that can be implemented right now. The smart home creates opportunities for enterprises in areas such as home security, energy management and health care. Businesses that sell security alarms, smoke detectors, and water sensors can provide remote monitoring and reporting. Utilities that set prices based on anticipated demand can provide this information so that smart appliances can schedule optional tasks for when prices are low. And as the population ages, remote monitoring services will enable the elderly and chronically ill to continue living in their own homes. Recognizing this opportunity, InterDigital has developed a cloud-based platform (oneMPower) to help enterprises bring smart home and other IoT applications to market faster. Two industry groups were founded in the early 2000s to enable smart home products from different vendors to communicate and interoperate over low-power wireless networks. These networks employ a mesh topology to deliver easy setup, long battery life and entire home coverage. The Z-Wave Alliance was founded in 2005 and boasts more than 375 member companies and 1,500 certified products. Z-Wave technology operates in the 900 MHz band and is supported by companies including ADT Security Services and Samsung SmartThings. Z-Wave is the leading wireless solution for home automation -- with tens of millions of devices sold -- thanks mainly to its use in home security systems. The ZigBee Alliance released its first specification in 2005. The group claims 425 members and more than 1,000 certified products. ZigBee is based on the 802.15.4 standard and has options for both the 900 MHz and 2.4 GHz bands. The ZigBee Alliance has also developed a number of application profiles to ensure that specific types of products (such as “smart energy”) speak the same language. Several vendors have created their own smart home ecosystems that work with products from other vendors. Examples include Amazon Echo, Apple HomeKit, Belkin WeMo, Insteon, Iris by Lowe’s, Philips Hue, Nest, SmartThings and Wink. Let’s take a closer look at three. Amazon has revolutionized voice control and streaming audio for the home with its Echo device. Echo is an omnidirectional speaker with seven built-in microphones that uses the cloud-based Alexa Voice Service to let consumers access information, play content and give commands. Echo uses Wi-Fi and Bluetooth connectivity and works with smart home products including Nest, Philips Hue and SmartThings. Echo also works with radio and music services such as Pandora, iHeartRadio and TuneIn. Echo and the Alexa smartphone app can be used to set timers and alarms, create to-do lists and order food. While Amazon is collaborating with other vendors to expand the list of products and services that work with Echo, the clever cloud-based service IFTTT, which stands for “If this then that,” enables users to create their own recipes of triggers and actions. For instance, if you misplace your phone while at home you can ask Alexa to ring it using the IFTTT recipe you created. Apple HomeKit permits iOS devices to control a wide range of smart devices in the home. Devices can be controlled directly from their apps or through Apple’s Siri voice recognition interface. Multiple actions can be linked together creating what Apple calls “scenes.” HomeKit works with products from other vendors including remotely controlled door locks, smart thermostats, and outdoor video cameras. Samsung SmartThings supports Z-Wave and ZigBee wireless communication and can talk to IP devices through the consumer’s router. What makes SmartThings particularly interesting is that it offers a do-it-yourself alternative for home security with no monthly fees. Products include motion sensors, sensors for detecting when doors or windows are opened, video cameras and dozens of compatible products from other vendors (including sirens). The only thing missing is the “protected by” security sign. The Thread Group was started by Google’s Nest Labs and six partners (ARM, Haiku Home, NXP, Samsung Electronics, SiliconLabs and Yale Security) “To create the very best way to connect and control products in the home.” Like ZigBee, Thread is built on top of the 802.15.4 standard but employs 6LoWPAN wireless technology for end-to-end IP support. The Thread stack is an open standard designed to enable easy setup, self-healing networks (no single device can cause an entire network to fail), robust security, total home coverage using a mesh topology and long battery life. Though The Thread Group only began accepting members in late 2014, it now boasts more than 230 members, has released the first Thread specification and has started product certification testing. The AllSeen Alliance was started by Qualcomm to develop open-source software (AllJoyn) to facilitate interoperable devices, applications, and services. The goal is to ensure that all products in the same category (such as lighting) speak the same language. AllJoyn is code that anyone can use (per its open-source license) rather than a specification. The Alliance now has over 200 members and is managed by the Linux Foundation. The Open Connectivity Foundation is developing both specifications and open-source code for the Internet of Things. The OCF was announced in February of this year and subsumes the former UPnP Forum which was established to promote universal plug and play protocols. Standards and open-source code will enable the smart home market to achieve its full potential. But as Mitchell Klein, executive director of the Z-Wave Alliance, points out, the industry needs to first focus on the use cases. It’s creative devices and cloud-based services that do what consumers want and need that will bring our smart home dreams to life.